Let children fail. It’s tempting to want to force a child to learn from yours and other’s mistakes. Life doesn’t work that way. You should certainly own up to your mistakes while showing them others’ and hope the child listens. But you must respect a child’s right to fail. It’s the only way they’ll feel the full experience of life. Let them own their failures as much as society lets them own (if not coddles) their victories. And let them know that failure is not who they are, it’s just something they do en route to winning. The best way to build character in children is threefold: 1) Read story-driven books with them, which are all about good and bad character. 2) Discuss character with them. How do they feel about the character traits they encounter in books and reality. 3) Play chess with them, which teaches discipline, helps them evaluate moves in life, and teaches them how to forgo instant gratification in favor of long-term success. Persistence through boring tasks and delayed gratification = rewarding life. In other words, persistence usually gets you where you want to be, while patience and the anticipation of reward feels better than the reward itself. I don’t think this is all it takes to achieve a rewarding life, mind you — what about love, service, and spirituality? — but it’s certainly two key ingredients. The 7 traits of highly satisfied people: Grit, self-control, zest (aka excitement), social intelligence (aka education), gratitude, optimism (aka hope), and curiosity, says Tough. I feel curiosity fuels education, so the seven could probably be condensed to six. But not a bad list. Not sure if it’s all encompassing either, though. Independence > full-time support groups. 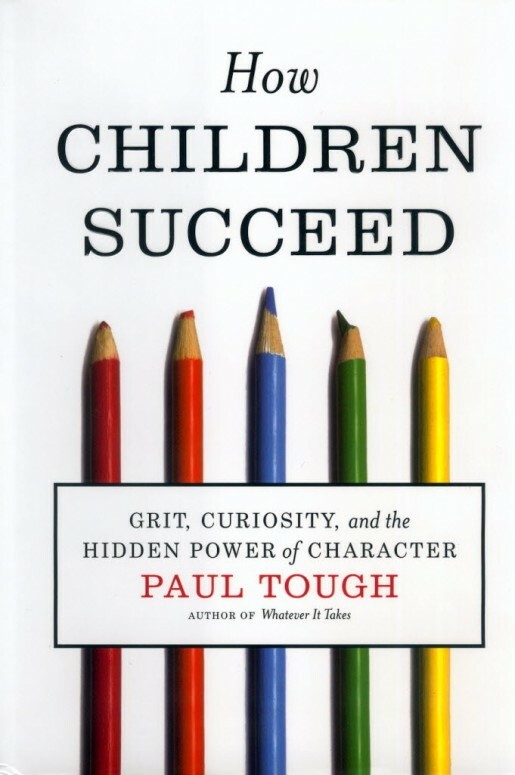 In the book, Tough cites a study of where a group of kids were well cared for in high-school; lots of support and character building. But most of them failed to graduate college because they didn’t know how to operate on their own. They didn’t have independence. Which is why good character is so important. It allows children to tough things out and keep learning. That said, I think Tough overlooked the importance of unstructured time in a child’s development, in addition to love, service, and spirituality. Since much of adult life is monotonous, kids need to learn how to manage free time on their own instead of having their parents enroll and enable them in a lot of guided activities.